From conception to completion, LDC Designs, LLC provides sound and functional design along with innovative ideas to put your project in a league of it's own. Whether you are looking for a sleek and simple palette or a french country classic design, my firm will provide you with the look that you desire and one which also compliments the rest of your home. Hudson Valley's One Stop Shop for All of Your Home Improvement Needs! New Millennium Home Improvement Inc has nearly two decades of experience in virtually all aspects of contracting. Our specialized technicians will be in contact with you from start to finish, and will be sure to impress you with the finished product. We are easy to work with, dependable, quality-focused, and want your business! You are our most important client! Whether it's a major home remodel, or a few handyman projects that need attention, we have all your individual needs covered. Providing outstanding quality and value are the reasons our clients keep coming back. Italian kitchen cabinets shipped directly from Italy. For the price less than at Home Depot. Complete kitchen design, renovation and installation services. We specialize in creative european kitchen design. 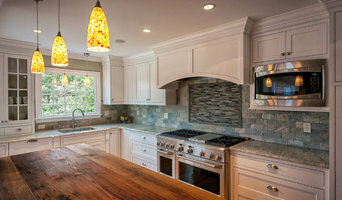 Ducci Kitchens Inc. is a nationally recognized kitchen and bathroom remodeling firm in Goshen, Ct. Gail and Charles Olsen have been guiding the success of their company since 1982 and take personal pride in their reputation for honesty, integrity, and outstanding service. A full service kitchen and bath design showroom. Installation available to meet all your needs and help you love where you live. 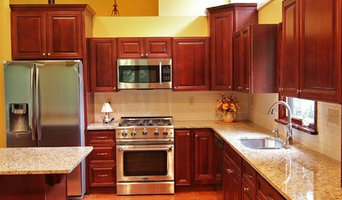 Curtis Lumber is where you will find the best Creative Custom Kitchen design centers in Upstate New York and Vermont. With an extensive selection of kitchen cabinets in the most popular woods and finishes, there is no doubt that you will find the kitchen cabinets you've been dreaming about. We feature many stylish, fully decorated kitchens onsite at each location's unique kitchen design showroom, so you'll be able to see and touch the different kitchen cabinets available. More importantly, Curtis Lumber Kitchen Design Showrooms feature the best designers in the industry. When you enlist the helpful advice and expertise of a National Kitchen and Bath Association Certified kitchen designer at Curtis Lumber, your dream kitchen no longer has to exist only in your imagination. With carefully planned and executed kitchen designs, our experts can help make your vision a reality with our selection of finely-crafted cabinetry, countertops, hardware and fixtures. A picture may be worth a thousand words, but the ability to experience our extensive selection of kitchen cabinets firsthand is priceless! You'll find that a dash of design and a pinch of functionality is the recipe for a kitchen that truly makes you feel at home. John Welch Fine kitchen and bath. *Authorized DeWils Cabinetry Dealer* Serving Yorktown Heights, Norther Westchester and the Tri-State area, CST Kitchens & Baths can help you to design, remodel or replace your any or all components of your kitchen, bath or custom closets. For more than 20 years we have built our family owned business on the following principles: We represent only the highest quality manufacturers and their products We provide the highest quality customer service We stand by our projects from start to finish After your initial visit with one of our expert designers, your customized design will be created to fit all of your needs, and they will work with you through each stage of your project. WAYNE GRABOWSKI has been designing kitchens and baths since 1982. He has worked in all aspects of the business over the course of his career. He spent ten years designing custom rooms in lower Fairfield County. He has been published in several home improvement periodicals and has appeared on HGTV. He will review your existing space and discuss with you your needs, as well as the possibilities that your space and budget present, in order to make your project a success. LORIE GRABOWSKI’S administrative experience in the hospitality field, as well as in elder care, over the past twenty years has given her the opportunity to serve clients with undivided attention and to value the client’s time and address their concerns. With a team of highly qualified staff and professional, local installers, the primary goal of Southbury Kitchens is to create beautiful spaces that you will begin to envision upon your first meeting with us. At Luxury Bath for Less you'll find the finest bathroom faucets, furniture & fixtures, accessories, lighting, & tile at a fraction of their retail prices. 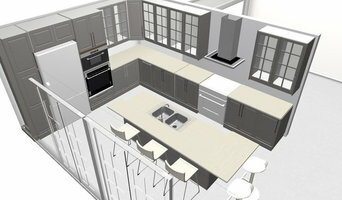 I design and consult kitchen and bath renovations. Bedford Home Design, LTD is a design build firm and cabinet dealer located in Bedford Hills, NY. With both design and construction experience BHD is able to keep most projects in house and well scheduled. With several years of experience in the field its designers have a variety of ways to make even your most complex projects a reality. The scope of work offered has almost no limits. With a specialization in cabinetry, we offer services that stretch throughout your entire home. Our services include but are not limited to Kitchens, Butler’s Pantries, Bathrooms, Mudrooms, Entertainment Units and wine rooms. With a friendly and timely approach we hope to be considered for your future projects. Rachel Lindemann is a kitchen & bath designer and interior decorator based in Woodbury, CT. Rachel prides herself on creating daring and unique spaces to suit any lifestyle. Rachel is an energetic, creative and accomplished designer with experience in all aspects of design, remodeling and construction management. Consultations within the state of CT are free. Cabinet Store, Inc. is a one stop shop with design and construction services for the entire home, while specializing in kitchen and bath design and remodeling. 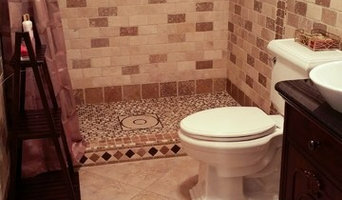 We personally visit every home to take measurements and provide you with a free estimate for your entire project. Cabinet Store Inc. has been in business since 1998 and our project managers and designers combine for over 50 years of construction experience in the field. The focus of the Cabinet Store is creating the vision our customers bring in and using our experience to ensure that vision comes to life with beauty and function. Life Happens…in your kitchen! The kitchen is the center of your home, a place for gathering, a place for entertaining, a place enjoying a cup of coffee with family and friends while making memories. Hudson Valley Kitchens wants to help you create your ideal kitchen. We offer a large selection of kitchen & bath cabinetry, and a wide range of counter top material suit your lifestyle, taste & budget. We are family owned business serving to the region for over 30 years. We are located in New Hampton which is in the heart of the Hudson Valley! We proudly service Orange, Rockland, Dutchess, Ulster, Bergan, Sussex, Counties & Milford PA and their surrounding areas. Let our expert team help you create your vision! Visit or call our showroom to schedule an appointment!